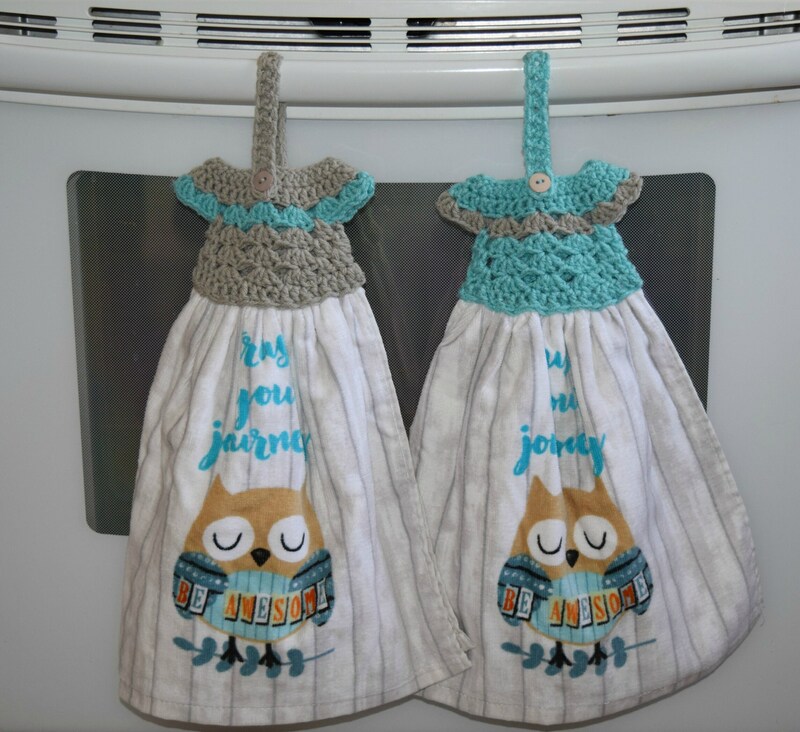 Owl Hanging Kitchen Towel with Crochet Dress Topper, "Trust your Journey" listing is for ONE towel. It is a cotton towel with an acrylic yarn Crochet Dress Topper that is made with aruba sea color and light gray accent or Gray with aruba sea trim. The towel itself once folded is 14 inches wide and 13 inches tall, with the crochet dress it is 18.5 inches tall. You will only receive one towel unless you order both. Love my 2 owl towels!!!!! So well made, and so darn cute, I hate to use them!!! Am enjoying them greatly! Thank you!